Tabish Khair’s control over the unravelling of the action is tight from the start. 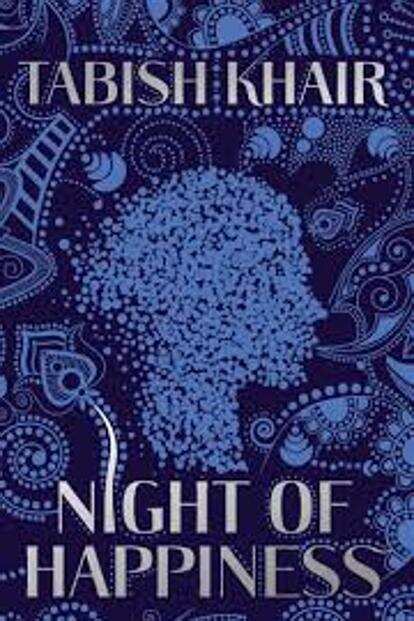 The title of Tabish Khair’s latest novella, Night Of Happiness, is laced with chilling irony. It refers to the Shab-e-baraat, as one of the key characters explains, “a full moon day of devotion and celebration in the month of Shabaan" in the Islamic calendar. But its connotation, in the world that the story conjures up, is far from joyous. Opening on a rain-soaked day in Mumbai, in the office of a successful entrepreneur Anil Mehrotra, the narrative quickly homes in on Ahmed, the former’s trusted lieutenant, whose extraordinary gift with languages and uncomplaining allegiance has made him indispensable to the business. Never one to shirk duty, Ahmed is unshakeable in his resolve to take only one day off in the year. On the night of Shab-e-baraat, he tells his boss, his wife and he have a longstanding tradition of cooking halwa in a certain style, which his mother used to make. On that day, come rain, shine or any other calamity, he must spend time with his family at home. The story opens on the fated day one year, when Ahmed’s plans are foiled. His presence is needed at an important client call, a special request from his employer he obliges to. Mehrotra, in return, goes on to drop Ahmed home in the pouring rain and is invited in for a cup of tea and the precious halwa while he waits for the inclement weather to subside. At Ahmed’s residence, sitting among the trappings of domesticity, Mehrotra discovers something profoundly amiss with his loyal employee—this becomes the trigger for the rest of the plot. Khair’s control over the unravelling of the action is tight from the start. His approach to character is sly, almost Shakespearean in the use of suggestive metaphors. At Ahmed’s home, Mehrotra senses, for the first time, a steeliness about his right-hand man: his words send a shiver through him, as Mehrotra puts it, “perhaps what you would feel if a loaded gun was pointed, playfully, at you". Disturbed by the events of that evening’s visit, he sets a detective on Ahmed’s trail, to uncover his past, which opens a can of worms, forcing Mehrotra to confront his casual prejudices about Muslims and question his own, seemingly big-hearted, liberal instincts. As in his last novel, Jihadi Jane, Khair is deft in probing into the psychological recesses of his characters. His depiction of individual tics, the acuteness with which he communicates a subtle change in inflection, the modulation of tone and body language, enables the reader to stay close to the action and imagine it vividly. The ending, dark and inconclusive, leaves the reader hanging in an intriguing suspense.